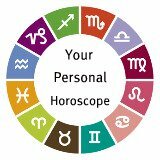 Zodiac Compatibility - Kind of like Yahoo Answers but Astrology based! Ask for Advice - Post your own experience or question on a relationship you are in. This can be done anonymously, or you are welcome to include your first name if you prefer. You don't have to register with us or anything. These can include Personal, Social and Business Relationships. Read Advice - Enjoyment and fun. Learn from it too! Offer Advice - If you want to offer feedback go ahead. Post away. Insights come from all angles. Please keep your posts tasteful. Prizes To Be Won - Each Week ! What Zodiac Sign Are You In A Relationship With? Click below to ask our community anything that's on your mind...Help others by responding to their posts! (It's fun)Share your opinions and advice by visiting one of our communities below. Remember, you can have personal, social or business relationships with any of these zodiac signs. Just post in the relevant sign.